If you purchased a domain from Yahoo or Aabaco and want to keep it registered with them, you can connect it to your site by following this guide. In this process, you'll change a few settings in your Aabaco account. After completing these steps, your domain will stay registered with Aabaco, but it will connect to your Squarespace site. Before you begin, review our requirements for connecting a third-party domain. 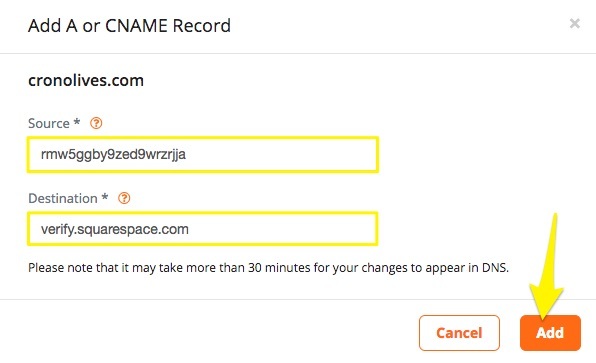 Note: This guide covers the steps to connect a domain originally registered through Yahoo (or registered through Aabaco since December 2015) to Squarespace from an Aabaco account. Before going through the steps below, review our requirements for connecting a third-party domain. Yahoo Small Business recently rebranded as Aabaco Small Business. If you have a domain registered through Yahoo, you'll manage your DNS records from a new Aabaco account. To learn how to log into your Aabaco account and access your settings, visit Aabaco's documentation. 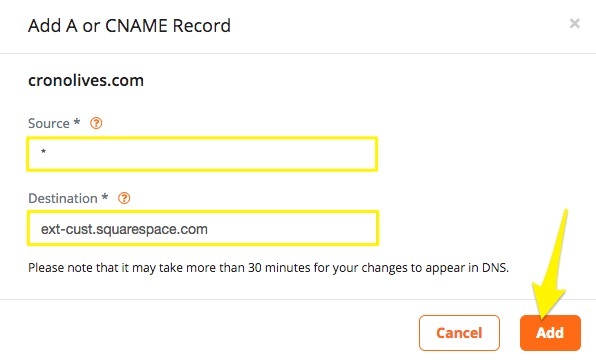 If your plan with Aabaco includes site hosting, you may need to switch to a domain-only plan to connect your domain to Squarespace. You can review these plan options on Aabaco's Domains page. Select Yahoo from the drop-down menu, even if you registered your domain with Aabaco. Se abrirá un nuevo panel con los registros que creaste en tu cuenta de Aabaco. Mantén abierto este panel para tu referencia. 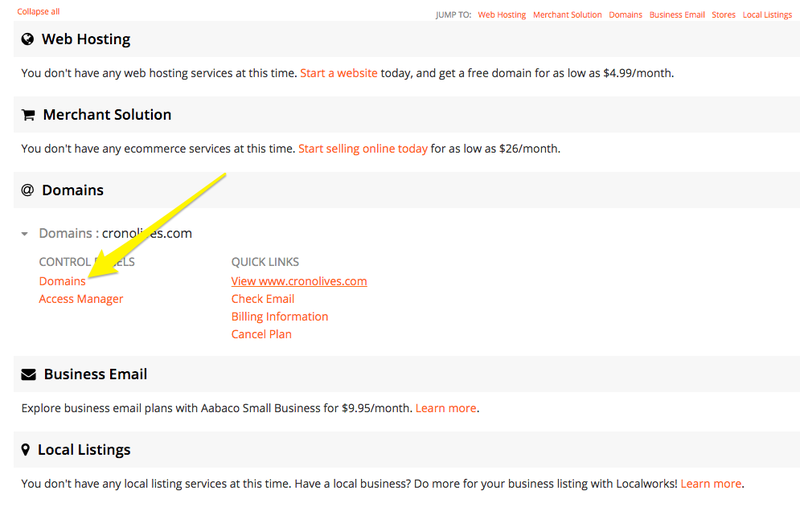 Go to www.aabacosmallbusiness.com, click Access your account, and log in. Click Domains. 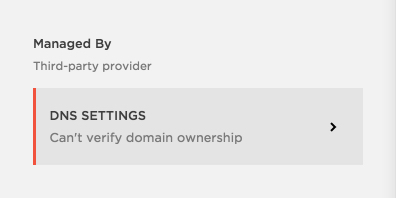 You'll now copy the records from the Domain panel so your Aabaco domain correctly links to your Squarespace site. Note: Don't delete MX records during this process. MX Records connect your email address, an deleting them could interfere with your email service. In your Aabaco account, click Add next to A and CNAME Records. In the Source box, paste the unique code from Host column of the Domains panel. 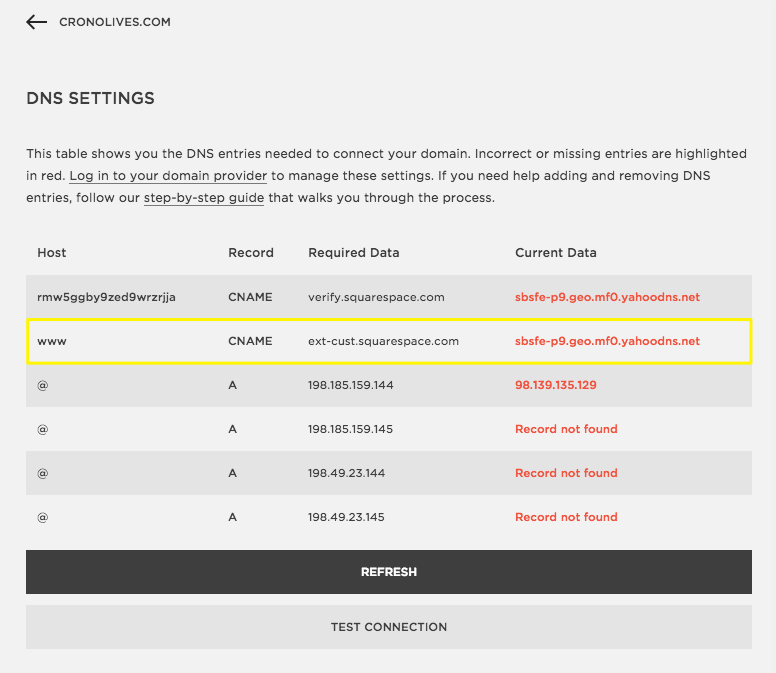 In the second line of your Squarespace DNS Settings, www appears directly below the Host column. Many domain providers use www as the host value for this second CNAME, but Aabaco uses * instead. You'll still see www in your Domains panel and Squarespace will still read your * entry as correct. This record must point to ext-cust.squarespace.com. 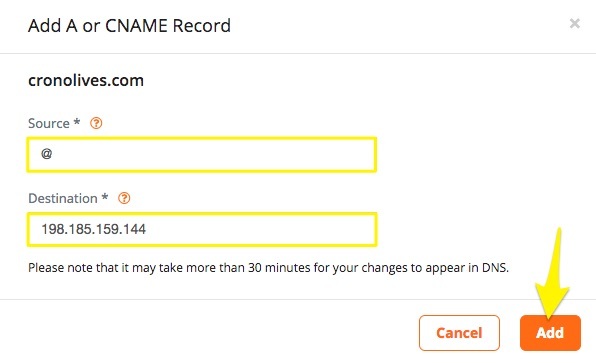 In your Aabaco account, click Add next to A and CNAME Records again. You should now have a CNAME with * pointing to ext-cust.squarespace.com. In the last four lines of your Squarespace DNS Settings, you'll see four IP addresses in the Required Data column. Using the steps below, create four A Records in Aabaco matching these values. In the Source box, leave it blank. Si todos los registros se ingresaron correctamente, tu dominio se conectará con el sitio dentro de las 24 horas. En ocasiones, puede tomar hasta 72 horas. Visita el panel de Dominios en cualquier momento para comprobar tu progreso. When the domain is correctly linked, the domain will appear in the Domains panel with aConnected label. For more help with settings in your Aabaco account, contact their support team or visit their documentation. To help them understand your issue, you can use our sample message.